Lava from a Kilauea volcano fissure erupts on Hawaii's Big Island on May 20, 2018 in Kapoho, Hawaii. The volcano erupted explosively on May 17, launching a plume of smoke and ash about 30,000 feet into the sky. 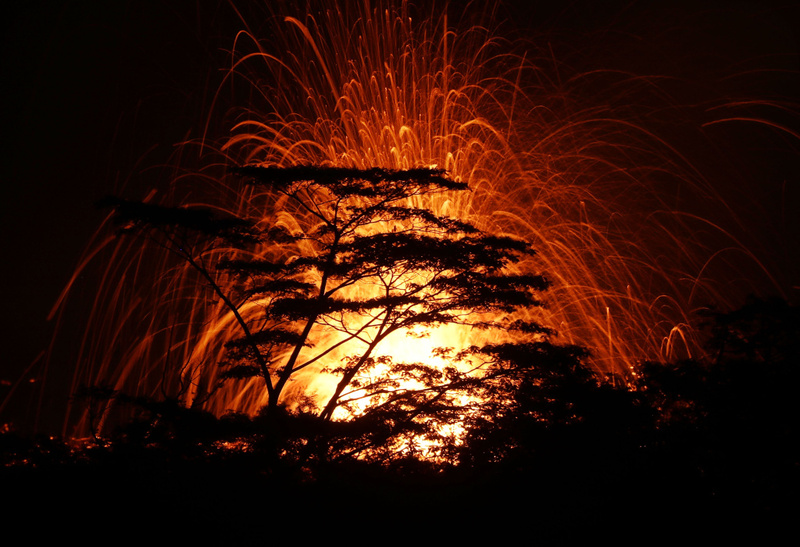 A volcano that is oozing, spewing and exploding on Hawaii's Big Island has gotten more hazardous in recent days, with rivers of molten rock pouring into the ocean Sunday and flying lava causing the first major injury. Kilauea volcano began erupting more than two weeks ago and has burned dozens of homes, forced thousands of people to flee and shot up plumes of steam from its summit that led officials to distribute face masks to protect against ash particles. 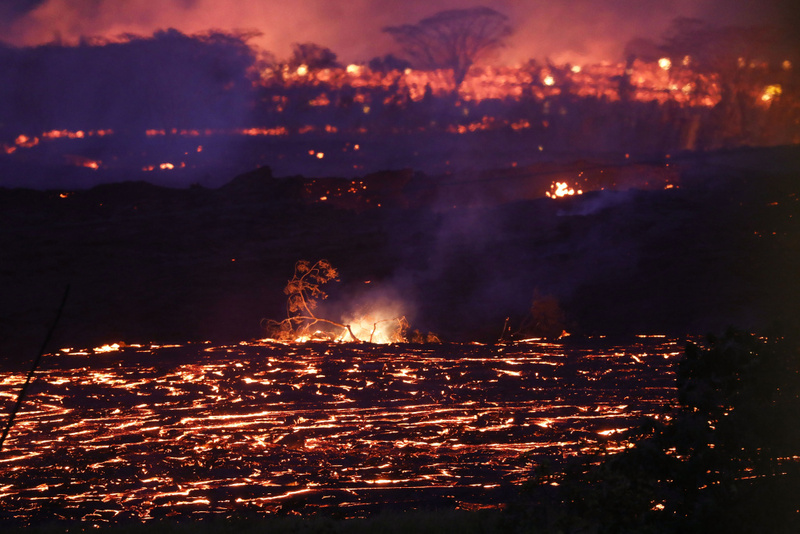 Lava flows have picked up speed in past days, spattering molten rock that hit a man in the leg. Lava from a Kilauea volcano fissure flows on Hawaii's Big Island on May 19, 2018 in Kapoho, Hawaii. He was outside his home Saturday in the remote, rural region affected by the volcano when the lava "hit him on the shin, and shattered everything from there down on his leg," Janet Snyder, Hawaii County mayor's spokeswoman, told the Hawaii News Now TV station. Lava that's flying through the air from cracks in the Earth can weigh as much as a refrigerator and even small pieces can be deadly, officials said. The injury came the same day that lava began streaming across a highway and flowing into the ocean. The phenomenon sends hydrochloric acid and steam with fine glass particles into the air and can lead to lung damage and eye and skin irritation, another danger for residents as the plume can shift with the wind, Hawaii County Civil Defense said. 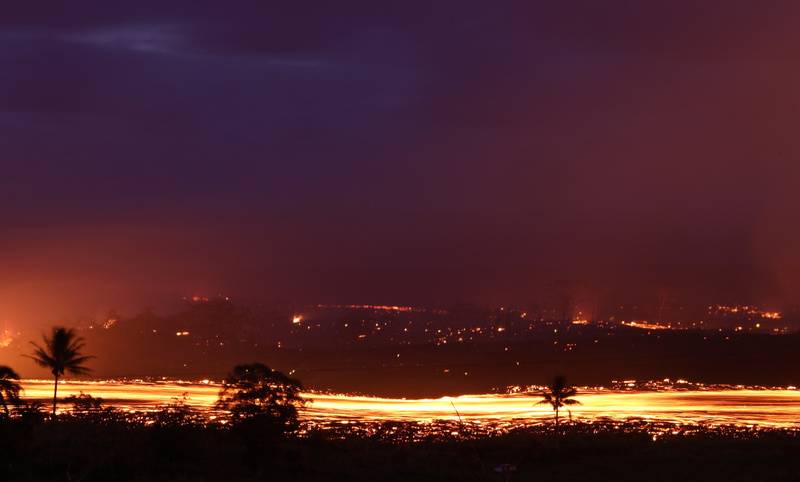 The Hawaiian Volcano Observatory says sulfur dioxide emissions also have tripled. 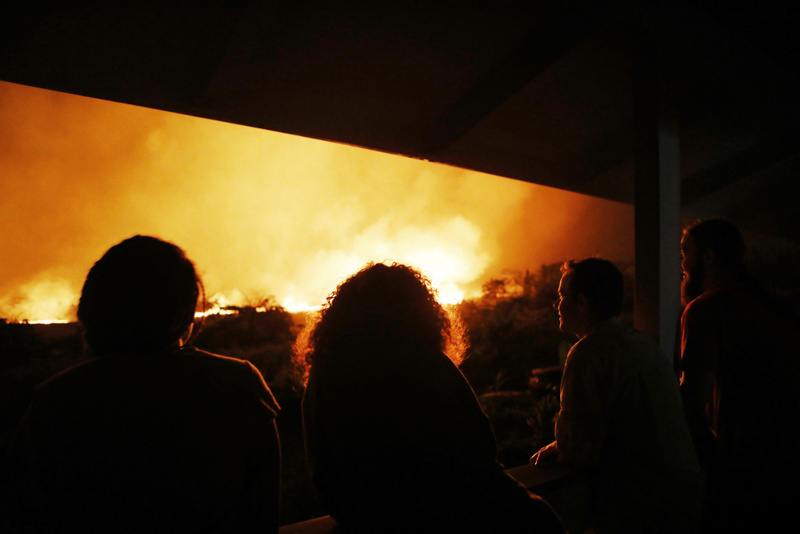 Residents view lava erupting from a Kilauea volcano fissure, at a small viewing party on a neighbor's porch, on Hawaii's Big Island on May 19, 2018 in Kapoho, Hawaii. The highway has shut down in some spots, and residents in the area have been evacuated. Joseph Kekedi, an orchid grower who lives and works about 3 miles (5 kilometers) from where lava is pouring into the sea, said luckily the flow didn't head his way. At one point, it was about a mile upslope from his property in the coastal community of Kapoho. 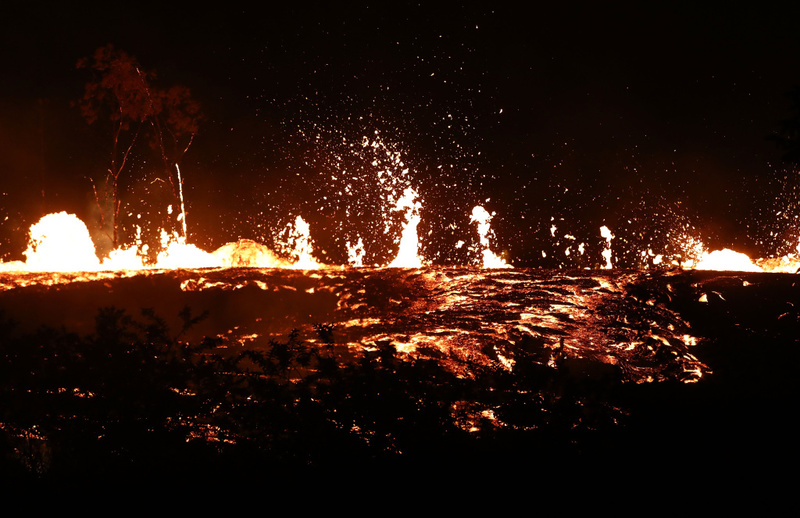 Lava erupts from a Kilauea volcano fissure, above treetops, on Hawaii's Big Island on May 17, 2018 in Kapoho, Hawaii. He is hosting a 90-year-old who evacuated from the Leilani Estates neighborhood, where lava started spewing May 3. He also was storing belongings for other friends who had to leave their homes. Kekedi said most of his neighbors are optimistic. He has friends who lost houses when lava smothered the town of Kalapana in the 1990s but they built again, found a good life and "life went on." A lava flow from a Kilauea volcano advances on Hawaii's Big Island on May 19, 2018 in Kapoho, Hawaii. 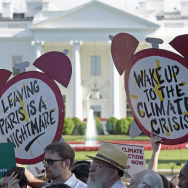 Scientists say they don't know how long the eruption will last. The volcano has opened more than 20 vents, including four that have merged into one large crack. It has been gushing lava high into the sky and sending a river of molten rock toward the ocean at about 300 yards (274 meters) per hour. 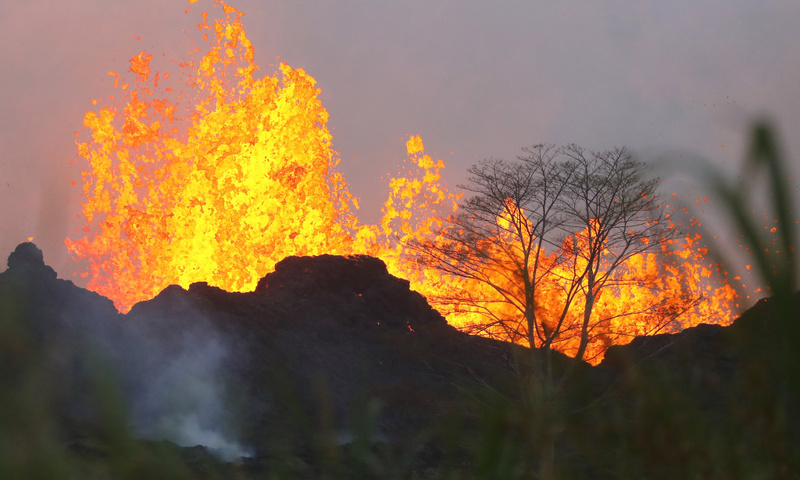 The flows accelerated after newer lava began emerging from the ground late last week. The fresher lava is hotter and tends to move faster than the older lava that was unleashed earlier. Lava erupts and flows from a Kilauea volcano fissure on Hawaii's Big Island on May 18, 2018 in Kapoho, Hawaii. Scientists say the older lava is likely from magma that Kilauea has been storing underground since the volcano last erupted in 1955. The area affected by lava and ash is small compared with the Big Island, which is about 4,000 square miles (10,360 square kilometers). The volcano has spared most of the island and the rest of the Hawaiian chain. 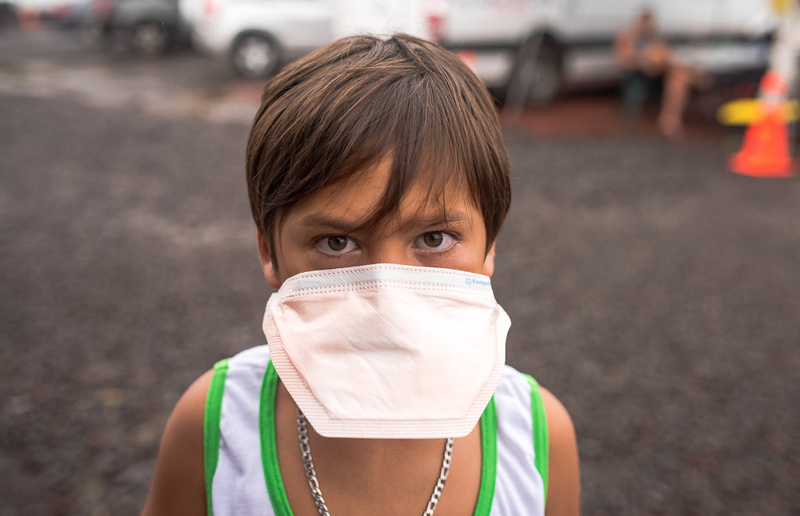 A Leilani Estates evacuee tries out a dust mask at The Hub, as Vog levels were particularly high in the area that day in Pahoa, Hawaii on May 17, 2018 due to eruptions from Kilauea volcano. Kelleher reported from Honolulu. 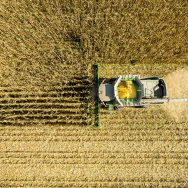 Associated Press journalists Jae Hong and Marco Garcia in Pahoa contributed to this report.